The central concern of this book is to find answers to fundamental questions about the British asylum system and how it operates. Based on ethnographic research over a two-year period, the work follows and analyses numerous asylum appeals through the British courts. It draws on myriad interviews with individuals and a thorough examination of many state and non-state organizations to understand how the system works. While the organization of the book reflects the formal asylum process, a focus on specific legal appeals reveals the ‘political’ factors at play as different institutions and actors seek to influence judicial decision-making and overturn/uphold official asylum policy. The final chapter draws on the author’s ethnographic findings of the UK’s ‘asylum field’ to re-examine research on the Refugee Determination System in the US, Canada and Australia which has narrowly focused on judicial decision-making. It argues that analysis of Refugee Determination Systems must be situated and studied as part of a wider, political, semi-autonomous ‘asylum field’ which needs to be better understood. 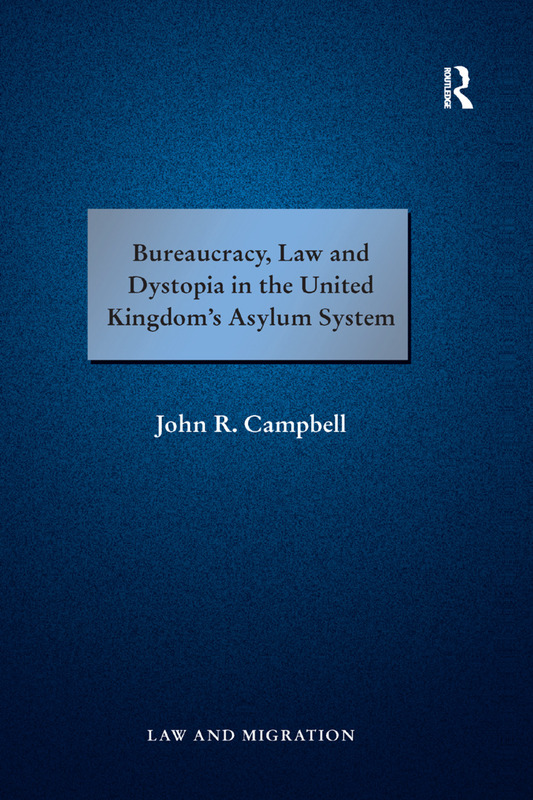 Providing an in-depth ethnographic study of a national asylum system and of immigration law and practice, the book will be an invaluable resource for academics, researchers and policy-makers in the UK and beyond working in this highly topical area. Dr John R. Campbell is a Reader in the Anthropology of Africa and Law at the School of Oriental and African Studies, London. He has undertaken fieldwork in Ghana, Tanzania, Ethiopia and the UK, and has undertaken development-related consultancies in Kenya, Ethiopia and Botswana. In addition to teaching the anthropology of development and the ethnography of Eastern Africa, he teaches courses on legal anthropology. His most recent book is Nationalism, Law and Stateless: Grand Illusions in the Horn of Africa (Routledge, 2013).